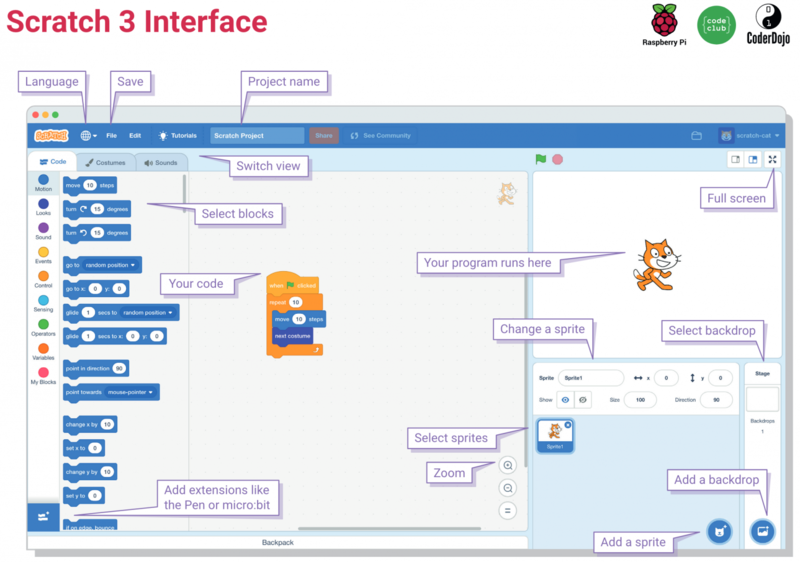 We love Scratch — it’s the perfect starting point for young people who want to try coding, and we’re offering a huge variety of free Scratch project guides for all interests and coding abilities. Scratch 3 introduces a brand-new look and feel. The most obvious change is that the stage is now on the right-hand side; there are new paint and sound editing tools; new types of code blocks; and the blocks are now larger and easier to read.